We love to hear back from our valued clients on how we are doing or ways we can improve our services! 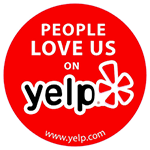 If our services met or exceeded your expectations, we invite you to leave a review on one of the trusted review sites below. If for whatever reason we did not meet your expectations, we would love the opportunity to speak with you directly and address your concerns. Please call us at (214) 368-2120. Or, feel free to use the Customer Feedback From below and our leadership will get in touch with you shortly. Thanks again for choosing CMI Property Tax Consultants, have a fantastic day! Click on one of the icons below which will direct you to a page where you can leave a review for CMI Property Tax Consultants!